All my blogs are about my daily life. For this particular blog, I’ll explore how my relationship with the school where I work affects the music services that I offer on a day-to-day basis – and at special occasions. My daily routine allows me numerous opportunities to participate in the musical life of the federated schools where I work. In return for the small fee that I pay the school, I receive their support whilst using and developing the music services I offer on their premises. Being ready and willing to offer my services as and when needed is very important to my relationship with the school. That means continuing with professional development and lots of reflective practice. My professional development includes, The Curious Piano Teachers Membership, attending Curious Live, ABRSM Conferences, and Lucinda Mackworth-Young’s piano weekends, having Kodály lessons with Cyrilla Roswell, and studying at postgraduate level. Each activity influences my daily routine and keeps me on my toes. In addition to this professional development, my teaching practice is fully booked! 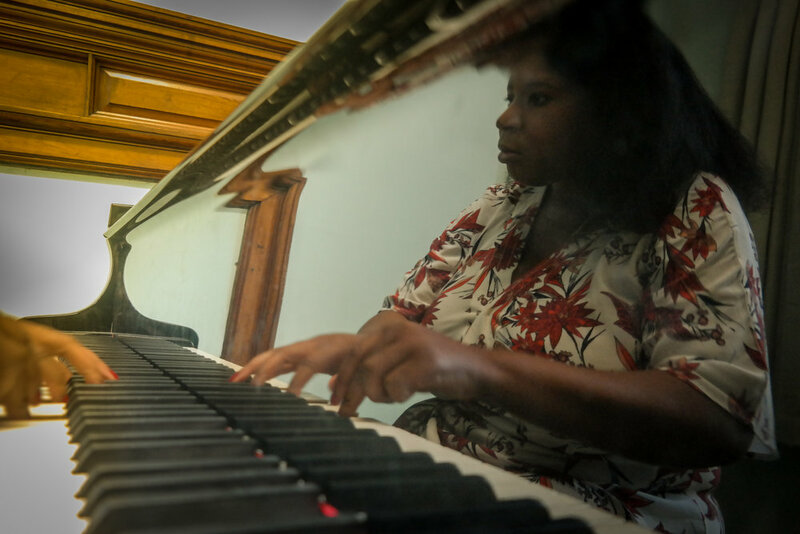 As part of our relationship, the school’s faculty encourage me to strive to be a better piano teacher –and to be a better musician. My skills in arranging piano music have been utilised by trios and duos (formed specifically to give the children opportunities to play together) and my skills as an accompanist have been used by exam candidates who have asked me to help them with their recorder exams. Despite working more hours than I am paid for, I’m still happy. I’m happy because I am immersed in music which I am passionate about. Working like this makes me feel good. Today, I did some music directing in the absence of the Head of Music in the department. My very first job after graduating from University was as an Assistant Music Director for Youth Music UK. Finally, I have now been able to use the skills gained from that position with YMT:UK. For the past few weeks I have been developing my directing skills by overseeing exams, auditions and rehearsals for the school concert and talent shows. The work I did for musicals and talent shows at YMT: UK was very similar. Whilst it’s hard work, it’s also very rewarding to be able to offer my services and I hope to develop my directing skills more. I’m appreciative that my daily routine whilst working with the school is successful and fruitful in many different ways. It provides plenty of opportunities for me to practice, expand, and develop the music services that I offer. I wouldn’t change it for the world. Copyright © 2018 Vivace Music. All Rights Reserved.